Proper bed maintenance is key to keeping your gardens healthy and vibrant all year long. And as part of the Estate Landscape Management service, your dedicated crew will provide the ongoing maintenance necessary to keep your landscape beds looking beautiful. 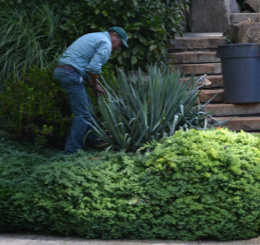 Rice's landscapers gardeners will arrive every other week to weed, prune, trim, fertilize and compost, bringing out the best in your property. They diligently inspect your plants for disease and apply insect control to keep the pests away. Our team members take the time to get to know your beds and treat them like their own.